Of all the economic proscriptions in the Quran, the most controversial has been the ban on riba, the pre-Islamic lending practice held responsible for pushing destitute Arab borrowers into enslavement. According to some early Muslims, this ban was meant to cover all interest, regardless of form, context, or magnitude; for others, the ban’s intended scope was limited to exorbitant interest charges. Although the restrictive deﬁnition triumphed, as a matter of practice the giving and taking of interest continued, at times through the use of legal ruses (hiyal), often more or less openly. The latest chapter of this old controversy was ignited in the 1940s by the emergence of “Islamic economics,” a school of thought that aims to purge interest from all economic operations. The accomplishments of this school include the establishment of Islamic banks in over seventy countries and the banning of interest in three of them: Pakistan, Iran, and the Sudan. Islamic banks claim that they avoid giving or taking interest, but they have found it impractical to obey their own charters. Interest is disguised under a variety of charges. Various critics of Islamic economics, including secular economists and Islamic modernists, believe that the goal of eradicating interest is both misguided and unfeasible. Distinguishing between riba and ordinary interest, these critics hold that interest is indispensable to any complex economy, that competitive ﬁnancial markets limit interest charges, and that bankruptcy laws now exist to protect borrowers against the horrors once produced by riba. All the four schools of jurisprudence agree that, in matters which have not been provided for by a Quranic or traditionally text, nor determined by consensus of opinion the law may be deduced from what has been laid down by any of these three authorities, by the use of Qiyas, which is generally translated as analogy. The root meaning of the word Qiyas is measuring, accord, equality. As a source of laws it is defined by the Hanafis as an extension of law from the original text to which the process is applied to a particular case by means of a common illat or effective cause, which cannot be ascertained merely by interpretation of the language of the text, by the Malikis as the accord of a deduction with the original text in respect of the illat or effective cause of its law and by the Shafis as the accored of a known thing with a known thing by reason of the equality of the one with the other in respect of the effective cause of its law. In plain language Qiyas is a process of deduction by which the law of a text is applied to cases which, though not covered by the language are governed by the reason of the text. The reason of the text, which is technically called illat or effective cause is the rukn i.e. constituent of analogy and the extension of the law of the text to which the process is applied is its legal effect. Analogy as a source of laws being subordinate and subsidiary to the Quran the tradition and the Ijma, these latter in the language of Muhammadan lawyers are called its authorities (asl) or texts (nass). The Zahiris, some Hanbalis and Ibn Hazm deny the authority of analogy as a valid source of laws, except in matters which are the rights of men and are ascertainable by the exercise of our senses and reason. They contend, “that any other view of analogy would virtually amount to making laws which is the sole privilege of God. We (that is God speaking through the Prophet) have send down the Book as authority for you. There is nothing fresh nor dry, but is to be found (that is the rule in every matter is laid down) in the revealed book, say, God has not by his revelations made anything unlawful to man except a dead body or the flowing blood of an animal. Say, whatever is not found to be forbidden in the Book of God is lawful to men. The affairs of the Israelites were in proper order, until those born of slave girls increased in numbers, and began to deduce from what had been laid down things which had never been laid down, and thus they themselves went astray and led others astray. It is admitted by the Sunni Jurists with reference to the first two of above texts that the law for guidance of Muslims in every matter is to be found in the Quran but they point out that the law on some questions alone has been laid down in express terms, and as regards the rest, the Quran merely affords indications from which inferences have to be drawn. As to the warning contained in the last mentioned text against the example of the Israelites, that was called for by the ignorance and prejudice of those addressed but no such charge can be made against Muhammadan Jurists as a body. The principle underlying the text which lays down that nothing that has bot been declared unlawful by God can be made lawful, is fully admitted; but it is not claimed that analogy can be used for such a purpose. Did you think they would get away? They thought that their forts would protect them, but his punishment reached them from the quarter they had not anticipated. The inspired fear in their hearts, and they pulled down their houses with their own hands, and so did the Muslims. So ye who have judgment take warning. When the Prophet sent Muhdh to Yemen as Governor he said to him; how are you going to decide cases; Muadh Answered; by the light of what is in the book of God. The Prophet next asked; And if you do not find anything in the Quran to guide you?, I will decide in the way the Prophet has been doing. But inquired the Prophet; if you do not find any precedent from me what then? I will do my best by exercising my judgment. The Prophet there upon exclaimed “Praise be to God who ahs so disposed the delegate of his Prophet as to be able to satisfy him. My followers will never agree upon what is wrong. It is incumbent upon you to follow the most numerous body. The (protecting) hand of God is over the entire body and no account will be taken of those who separate themselves. Whoever separates himself (from the main body) will go to hell. He who opposes the people to the extent of a span will die the death of men who died in the days of ignorance. God does not allow the people to go astray after He has shown them the right path. Obey God and obey the Prophet and those amongst you who have authority. If you yourself do not know then question those who do. The four Sunni Schools of law hold Ijma to be a valid source of laws not only upon the authority of the above texts, but also on the unanimity of opinion to that effect among the Companions. The Shafis and Malikis recognize the authority of Ijma not merely in the matters of law and religion but also in other matters such as organization of the army, preparations for war and other questions of executive administration. 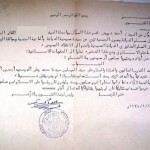 Ijma is an essential and characteristic principle of Sunni Jurisprudence, one upon which the Muhammadan community acted as soon as they were left to their won resources an were called upon to solve the first and most important constitutional problem that arose on the prophhet’s death, namely the selection of the spiritual and executive head of the community. The election of Abu Bakr to the Caliphate by the votes of the people was based, as is well-known on the principle of Ijma. Some Shiahs, Kharijis and Nazzam do not recognize this sourc of law. Among the Shiahs some jurist hold that questions relationg to the Shariat cannot be authoritatively determined by mere consensus of opinion, while other Shiah jurists, though admitting the authority of Imja, base it on a presumption that, when the Mujtahids agree in a certain view, they voice the opinion of the invisible Imam. Nazzam and some among the Kharijis also dispute the validity of the doctrine. Khoja’s are basically Hindus converted to Mohammedanism and taught Shiah of Ismaili faith. As a rule Khojas have no mosque or Masjid. The Jamat Khana is their prayer house where they recite gnan (Knowledge) which is a free composition in verse of some parts of Koran and Hindu Mythology. Their accepted scripture is “Dashavatar” conversion of Khojas to the Shiah Imami Ismaili sect is not a case of individual conversions but a mass or community conversion. 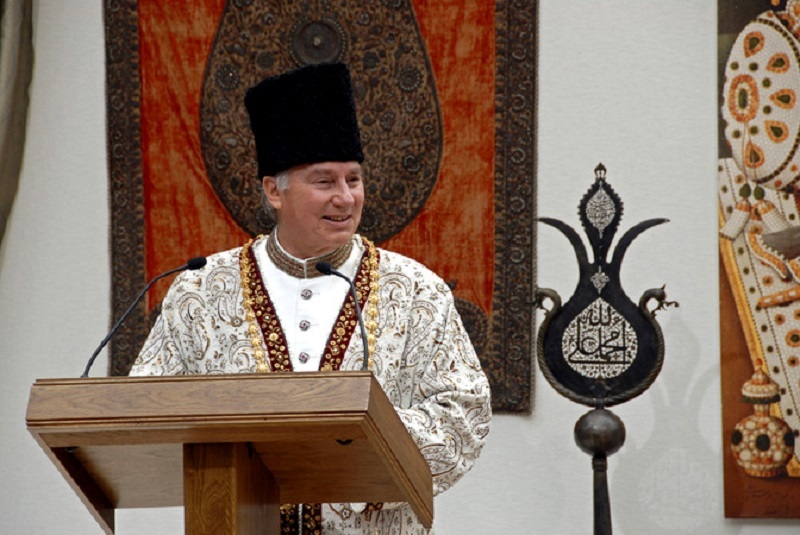 The Agha Khan is the spiritual head of the Ismaili Khojas and he was once regarded as having the sole right of determining who shall or shall not remain a member of the community but this right has been curtailed later by an act. The Shias are mainly divided into three main sub-sects, namely, the Athna-Asharias or ithna ashariyya, the Ismailyas and the Zaidyas. Most of the Shias are Athna-Asharias so the resumption is that a Shia is governed by the Athna-Asharia exposition of the law. Ithna Ashariyyah are also known as The Twelver because they believe on 12 Imams. They also believe that Imam Mahdi will be none other than the returned Twelfh Iman. 85 percent of Shias are Athna Asharia are majority lives in Iran, Iraq, Azerbaijan and Bahrain. The Sunnah means the actions and precepts of Holy Prophet (SAW). Sunnah is the second source of Islamic Law. Literal meaning of Sunnah is ‘a clear and well trodden path”. It denotes the practice of Muhammad (PBUH) that he taught and practically instituted as teacher of Shariah. Requirement of “Fiqah” is that if a married non-Muslis woman embraces Islam she must inform her husband of the conversion. The husband either embraces Islam within the period of Iddat, in which case the marriage continues, or he remains a non-Muslim even after expiry of Iddat Period, in which case the marriage would stand dissolved. The Iddat is imposed in order to provide opportunity to the non-Muslim husband to consider whether he wishes to embrace Islam and also as a matter of public policy in order to ascertain whether the woman is pregnant by earlier husband so as to avoid confusion of parentage. In Surat Baqra it is stated that by conversion to Islam, a non-Muslim lady’s earlier marriage with a non-Muslim man is dissolved an on account of her subsequent marriage with a Muslim, she is not guilty of any offence. 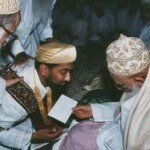 There are those traditions which have received universal publicity and acceptance in each one of the three periods namely, the period of the ‘Companions who were more righteous and had often shared the counsel of the Holy Prophet, the period of the successors of the “Companions” known as Tabieen and the period of their successors known as Tabi Tabieen. There are those traditions which though known publicly by a great majority of people, do not possess the character of universal fame. They carry conviction of genuineness but are reported by a limited number of Companions and thereafter in the two successive periods aforesaid. Change of Sect in Islam | Can Muslim Change his Sect ? Can a Muslim of one sect change to another Sect? A Muhammadan male of female who has attained the age of puberty, may renounce the doctrines of the sect or sub-sect to which he or she belongs and adopt the tenets of the other sects or any other sub-sect, and he or she will thenceforth be subject to the law of the new sect of subs-sect. It is important to be a Muslim and there is not restriction on changing of sect in Islam. 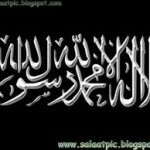 One must fulfill the original requirements to be a Muslim while remaining in any sect. There are some sects which not fulfill the requirement of Muslim and conversion to such sect made one apostle hence the essential point in this question to retain the basic requirements of Muslim. In your previous article we have discussed the Definition of Muslim, you can read it by clicking on the given link.